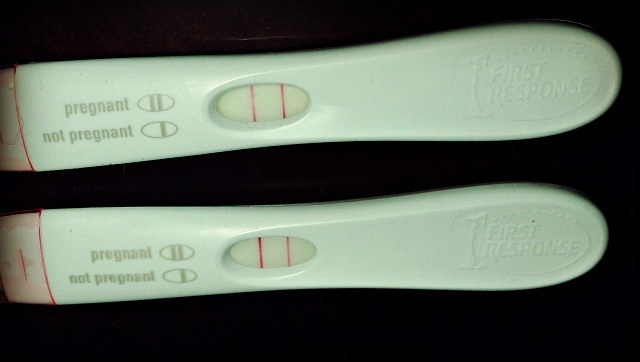 Today I found out we are pregnant. I went to the target pharmacy to go buy our birth control when I had a strong feeling to take a pregnancy test. It came out positive and I started crying. I had a full range of emotions overcome me at this point. I took another to verify it once I got home and it also came out positive. I then had a very special moment with Daryl that I will never forget and a feeling of peace overcome me as we sat down together and soaked it all in. Today we decided to take one last pregnancy test before announcing it to our families. It has been two weeks since our last two tests. 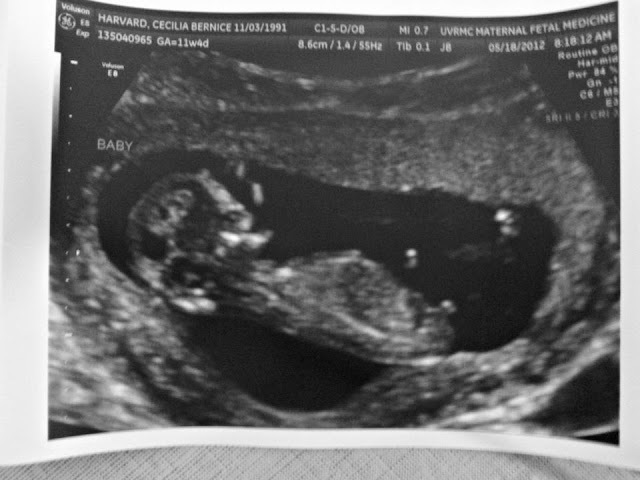 It came out positive and we know that we're at least 4 weeks along based on my morning sickness. Today we called Daryls family and shared the exciting news and we broke the news to my family over Sunday dinner. Everyone is so excited for our little baby. Now that we've told both sides of the family we want to set an appoitment so we can find out how far along we are. Today we went to the pregnancy resource center to verify my pregnancy. We were guessing that I was 4 weeks along. However, to our surprise we found out that I'm exactly 9 weeks! I'm nearly done with my first trimester. We had our first ultrasound today and saw our little baby's heartbeat, hand, and leg. We've decided we're going to wait a little bit longer before announcing the exciting news to everyone. I'm so thankful that this is my last week of school. Exactly a week ago today we saw you for the first time. We saw your little heart beating and you were moving around like crazy. We were extremely surprised to find out we were 9 weeks along, who would have known? My nausea seems to be slowly going away, however you had mommy puking right before her final presentation for Professor Hongs class. I’ve been craving saltine crackers, anything Italian or Mexican, rice, and fruit, particularly oranges. Food is slowly starting to sound good again. You’ve made mommy really tired, we’ve been getting about 12 hours of sleep with an occasional nap here and there. We’ve told immediate family and a few close friends about the exciting news and everyone is so happy and supportive of you. There have been many prayers going out for you, morning, night, and sometimes in the middle of the day, from mommy and daddy. We love you! I’ve been craving top ramen, passion fruit tea, and pizza. My appetite is starting to get back to normal and there are less foods that are making me gag. You have been a lot nicer this week and my morning sickness isn’t near as bad. We really need to find an OBGYN and start going to the doctor sometime next week. There is still no sign of an obvious bump but I’m sure you’ll make your appearance soon enough. Daddy and I have been looking for potential names for you. We have a few girl names that we adore but zero boy names we agree on. Next week we are going to tell close friends and extended family about you, we are so excited to share our little secret with them! Daryl surprised me with this cute little card he made. I loved that he dug through my arts and crafts box and made it all by himself. I didn't want to share the inside of the card since it is so sweet and personal but all I can say right now is that I love this boy so much. We also got to spend the day at my parents and they gave me a pre-mothers day present as well. I have the best family in the world and I couldn't have imagined a better mother's day then spending it with those I love most. I think we can safely say that the morning sickness is gone! I’ve felt a lot more energetic the last few days. We have a list of doctors in the area and I think we are going to go with whoever can get us in first! I’m really anxious to hear your heart beat and maybe even get another ultrasound! We’re almost done with the first trimester and food is starting to sound and look good again. I’m not craving very unhealthy food but a good variety now. Not much has happened since the 11.5 week update but I’m sure next Monday I will have a lot more to report. Your aunt Tiana refers to you as “mini” since you are a mini me and Daryl. I absolutely love it! Last week was a total success. There was only one day where I wasn’t feeling very good but other than that I am feeling great! We went to visit the doctor and your heart beat is healthy and strong at 165 bpm! Your dad makes fun of me for always wanting an ultrasound every other day just to ensure that you are okay but we got what we wanted last Friday and a few pictures of your cute self! 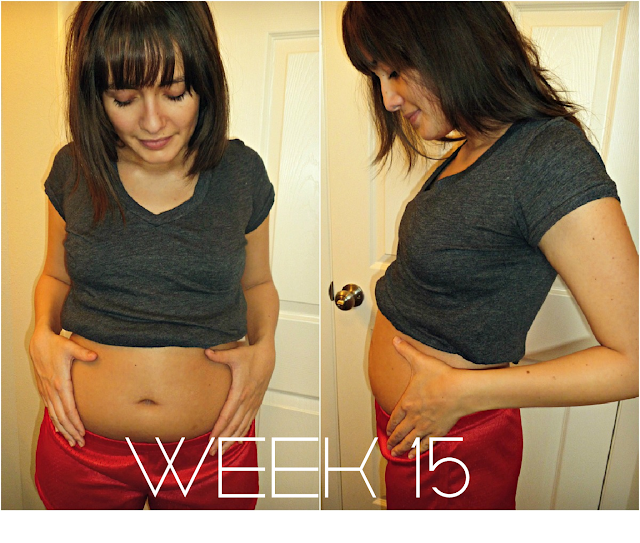 Comparing the 9 week picture and the 12 week and 4 day picture you’ve grown SO MUCH! You use to look like a little bean and on Friday you were a little over 2.5 inches! We’ve tried to get together with as many close friends and extended family as possible and everyone is so supportive of your arrival. I can’t wait to announce it to the whole world but it has been so nice being able to talk about it openly with friends! Today we are craving Italian food hopefully when daddy gets home we can go on a date to Spaghetti Factory or Brick Oven Pizza. We have an appointment with the doctor tomorrow and I’m excited to hear your heart beat once again! Your dad and I love you very much! I don’t know how you do it but I’m always so freaking tired and have little energy. We need to get on some kind of workout plan in order to give us that daily boost that we need in order to get us through the day! Today we’re going to go out to lunch with Hillary and tell her the big news! I’ve been wanting to tell her for a while now since she was a huge part of mine and your daddy’s life the past year but we’re now finally getting around to it! I’ve been eating a lot more now but not near as much as I should. I feel like I have a bump but your dad still says I’m crazy. I think we will be taking our pregnancy announcement pictures sometime next week which I’m excited for! Hopefully my belly is sticking out a bit by then because as of now everyone doesn’t believe you’re in my tummy! We love you!! Your Aunt Ti came up with a better idea than the pictures we’ve been taking the past couple of weeks. Since I’m now starting to show we’re going to take a picture of this here bump every week in the same tight shirt until you arrive. It looks like we are going to have to postpone our photo shoot but I’m sure we will be announcing your arrival sometime at the end of this week or early next week! I can’t believe there’s only 175 days left and everyone gets to find out your gender soon. I’ve been reading lots of other pregnancy blogs and for some reason our bump looks like their 10 week pregnancy announcement picture. I’ve gone Dr. Pepper and Hot Cheeto crazy the last week but not over eating or consuming caffeine for your safety. We love you!! 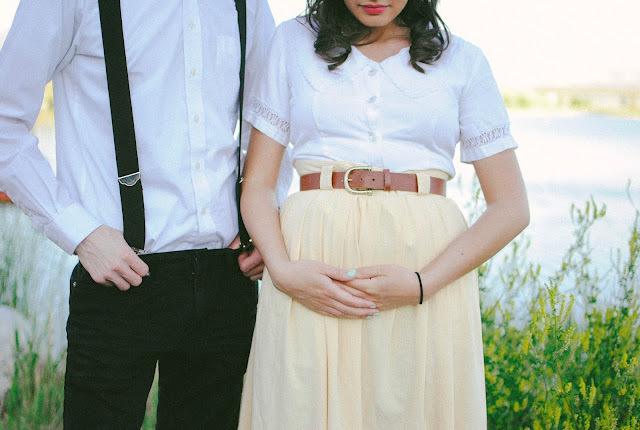 I’m hoping that we will finally get our little maternity photo shoot sometime this week. Nearly all of our friends and family know of you but none of my blog readers do. It’s been so challenging to not write or say anything. I could have sworn that I felt you move last night when your daddy and I were watching a movie but I have no idea. I hope I get to feel you kick or move and know for certain sometime later this week! This week you are the size of an avocado! Can you believe it? We love you so much! This is so exciting; I love being able to see your thoughts like little journal entries! It's so cute! congratulations! i made it the whole way through! you are too cute! keep the pictures coming! i am so happy for you guys! I made it through and loved every bit of it!So sweet!You're gonna be a great mama! OMG! Congrats! That is so exciting. So happy for you both. Wow I loved reading this, congrats to your and Daryl! You guys are going to make such wonderful parents! Congratulations! That is such wonderful news that the two of you have been blessed with the best little present! This is so sweet :) I started writing notes to Quinn, but my notebook got misplaced during our move (at 6 months) so I quit. My advice is to KEEP DOING IT! You look amazing, by the way. i read the WHOOOOLE THING!!! and don't say your blog readers didn't know, i totally knew. :) i love these little journal excerpts. what a sweet and special thing you're sharing with us. i'm so excited for you. this was adorable, congrats on your up coming babe!!! we are due late september/early october it is so much fun! this is the cutest thing that i have ever read. seriously. i love it. i'm so excited for you cute girl! you are going to be such a great mommy. thanks for your comment on my blog, i am following now, can you do the same? OH my gosh! How amazing! Congrats! Looooved reading through your "diary" SOO ADORABLE! You've got the cutest momma style ever! SO CUTE! i love this. you are going to be such a cute mommy! Oh my goodness! Congrats !!!! That's so exciting :D I am very happy for you ! Will be sending lots of prayers and warm wishes! So glad you shared the updates too! How cute are you! Congrats again! These are just the sweetest letters to baby Harvard. I am so excited to see your new maternity photos! 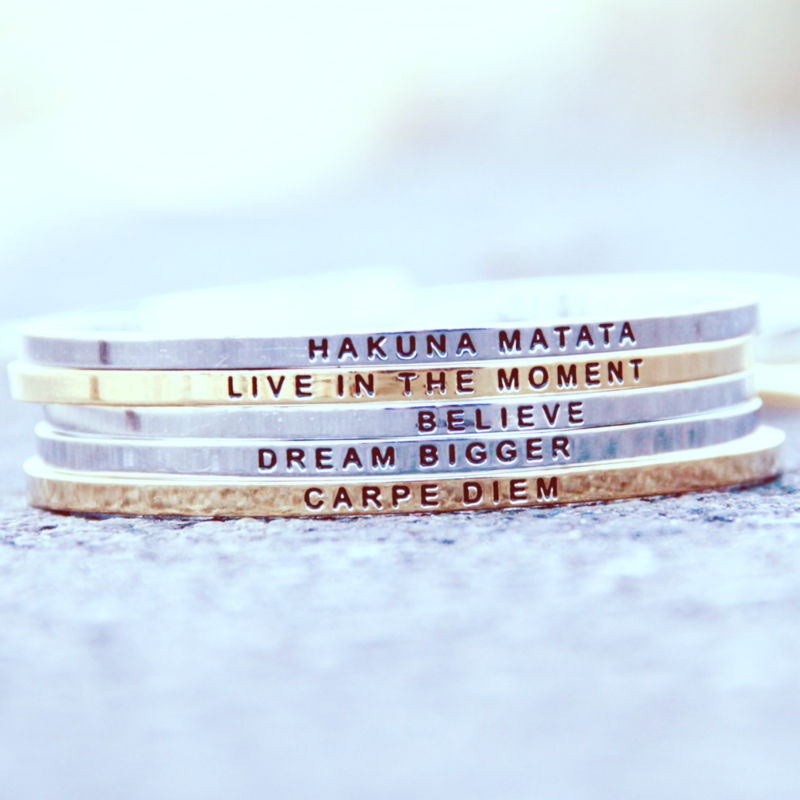 This is so beautiful! I love that you're journal-ing(?) 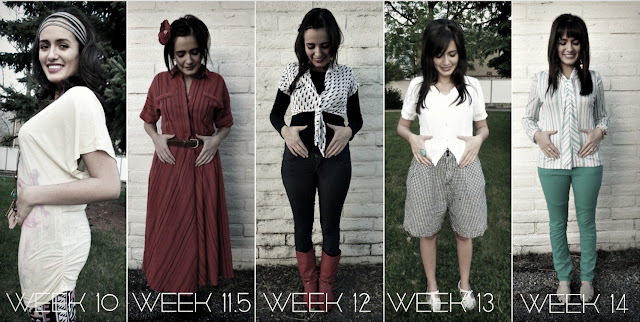 your pregnancy journey, it will be so special to look back on. Awww, I loved reading this!!! I'm so glad that I started reading your Blog right at the very beginning stages of your pregnancy...Congrats & I really, really enjoyed reading this, too! I am SO happy for you guys!! You will make incredible parents!! Hehe, YOU'RE PREGNANT :) happiness! I love the name you picked out for you little guy too! AND I love your outfits. I hope I'm that cute when I'm pregnant. I'm so happy for you!! I think you're gonna be awesome parents, plus your baby will look so beautiful. Congratulations to you too, and I love that you share this with us. Hopefully, it will be our turn soon. I love these letters. So sweet. I've got to start writing to my baby - I heard from someone last week how she attended a friend's 30th birthday party and at the party the woman's dad read a letter he had written her just days after she was born. The letter predicted what she was like and expressed hopes and dreams for how she would grow to be. It sounded SO sweet and I'm planning on doing something similar!